Lock in a great price for B&B Musei Vaticani – rated 9.5 by recent guests! Great location (right next to the Vatican! ), amazing host - so accommodating and flexible with our stay, luggage and payment, and very close to amazing restaurants which provided us with delicious food (try the place on the corner with green awnings!)! Thank you!!! I really liked the location, it was clean, had all what we needed, plus it was at 3 minutes away from the Vatican entry, from restaurants and shops, and also from the subway. A major bonus of staying at b&b musei vaticani is the owner, he is very nice, gives the best advice for your tours around the city and also makes a very good coffee, actually it was better than what I had at the coffee shops. Plus, if there ia anything you want to ask, he is your guy. Alessio it’s the nicest person that you can meet . The place it’s next to the subway station , like 5 minutes walking . And it’s 5 minutes from the Musey Vaticany , and a very short and beautiful walk from the Vatican . Yes it’s a small room , super clean . The area it’s full of shops , small supermarket next street . Fantastic location !!!! We will love to come back there . Thanks Alessio for your hospitality. We loved the place. Decoration was amazing with outstanding attention to details. Alessio is a great great host and all the tea/coffee facilities were amazing. Cookies were provided as well as milk, water and much more. We are ceirtainly coming back. Me and my mom really really loved the place. Excellent location. Outstanding really. Thanks Alessio for everything! The owner of the appartment is very nice and careful, ready to solve any problem whether it is related to the accommodation or to the travel in general. The appartment is made in a typical Italian style. A great advantage is that you have free access to the kitchen whenever you need it, you can have coffee and biscuits at any time you want. The location is wonderful - the city of Vatican is at hand, the metro station is a 5-7 min walk. Restaurants, bars, stores are round the corner. I've been to Rome few times before and always stayed with different hotels or homestay. To be honest, this one is the best so far. 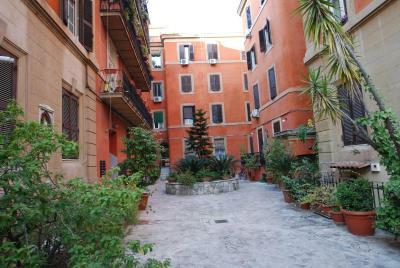 The location is short 2 minutes walk to Musea Vatican and 5-10 minutes walk to St. Peter Square. 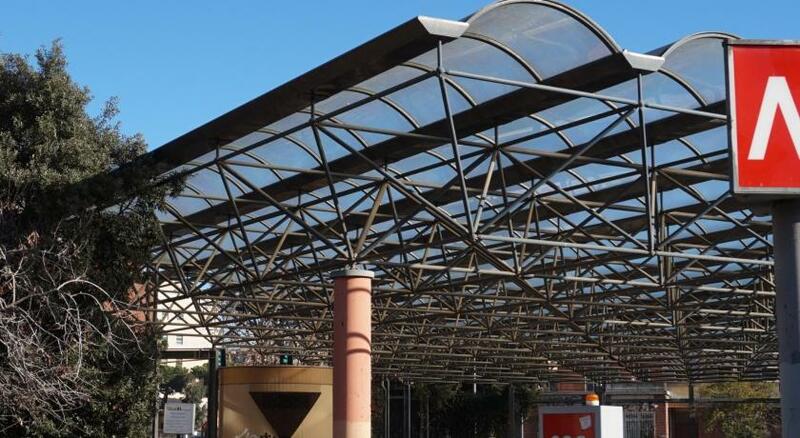 Ottaviano metro with direct access to Roma Termini is also 5-10 minutes walk. 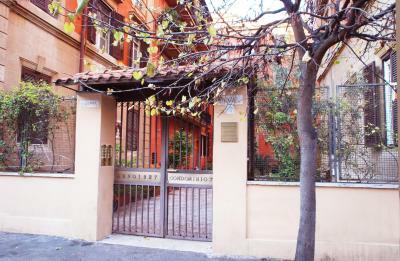 The property is in the second floor of a gated apartment in the vatican neighborhood; very safe at night. Carrefour express to get some basic necessities is also short walk away. 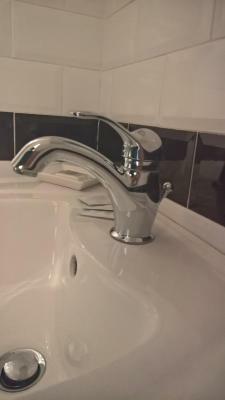 We were impressed with the meticulously kept b&b. Very clean, well-kept, with shower amenities, hair dryer, a kitchen stocked with water, fruits, tea, coffee machine for our disposal. It was very good stay. We were also very impressed with the staff. Alessio was great to us and taking care of us really well and gave us a very good restaurant tips! I really recommend this bed and breakfast. The room was new and clean. We really appreciated the position and the Italian breakfast. Alessio, the owner, was so kind and his tips about unforgettable things in Rome were really precious. First of all Alessio is the best. He helped us in everything we needed. We stayed two nights at Barberini and 2 nights there. We were sad that we did not stay for 4 nights in BB musei Vaticani. The owner is a professional and our stay there was lovely. This city is a great destination, but now BB musei Vaticani is an extra reason to visit Rome. The location was excellent: a quiet little corner just besides Vatican City. But with a shopping street right behind with plenty of supermarkets and restaurants. The b&b was fantastic: beautifully designed, clean, comfortable. Breakfast was freshly made coffee with croissants, toast, yoghurt in a shared kitchen. The host was amazing, he sent us directions via WhatsApp, upgraded us for free to the larger room, gave us free biscuits etc. I can really recommend B&B Vaticani, especially for solo travellers or couples. One of our best sellers in Rome! 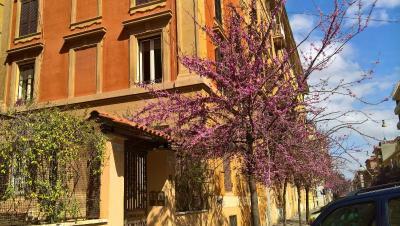 Located only 650 feet from Saint Peter's Square, B&B Musei Vaticani offers rooms with Wi-Fi in Rome. This property is just 450 feet from the Vatican Museums. Each air-conditioned room includes a flat-screen TV. The bathroom comes with a shower. B&B Musei Vaticani is 4.3 mi from The Catacombs of St.Callixtus. Ciampino - G.B. Pastine International Airport is 11 mi away. 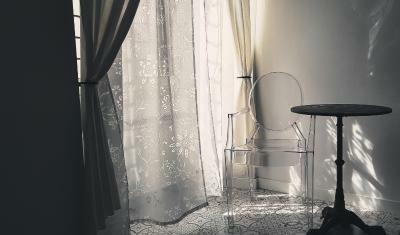 When would you like to stay at B&B Musei Vaticani? The air-conditioned room includes free Wi-Fi and a flat-screen TV. The bathroom comes with a shower. This quiet room overlooks the back yard. The air-conditioned room includes free Wi-Fi, a fridge and a flat-screen TV. The bathroom comes with a shower. House Rules B&B Musei Vaticani takes special requests – add in the next step! B&amp;B Musei Vaticani accepts these cards and reserves the right to temporarily hold an amount prior to arrival. 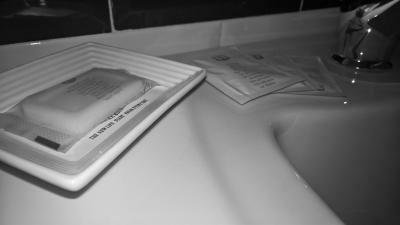 B&B Musei Vaticani accepts these cards and reserves the right to temporarily hold an amount prior to arrival. Please inform B&B Musei Vaticani of your expected arrival time in advance. You can use the Special Requests box when booking, or contact the property directly using the contact details in your confirmation. We hated that we couldn't stay more. But we look forward to get back as soon as possible!!! Alessio (the host) is very kind person. He makes our stay in Rome even better. The bed and pillows were very comfortable. The room was cleaned daily. Nice breakfast especially the coffee. It was really nice. The place is 2 min walking from Vatican - great location. I truly recommend the place. Super close to the Vatican, comfortable and Alessio the owner is very kind and prepared breakfast every morning. Alessio is a wonderful host and made sure that my parents had a wonderful stay in Rome. I was very worried since this was their first time traveling abroad by themselves, but they were able to check-in with Alessio and have no issues getting his assistance in getting around and what places to see and visit while they stayed in Rome. Planning to stay with Alessio next time we are in Rome. I can find nothing to fault. The B&B itself is a very good place to stay at. It is very clean, quiet, safe and extremely welcoming. The host himself Alessio is one of the most helpful people we met and was reachable at all times. The location is perfect. 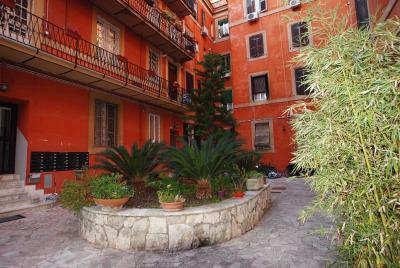 Very close to the Vatican, the metro, restaurants and supermarkets. I would definately go back without hesitation should i go back to Rome. Thank you Alessio for providing us a perfect stay. Alessio is very friendly and helpful and welcomes you with the best cappuccino in the morning. We felt like home and would come back any time. The best hotel I have ever had. The best room: big enough for 3 persons (including 1 teenager), very clean. 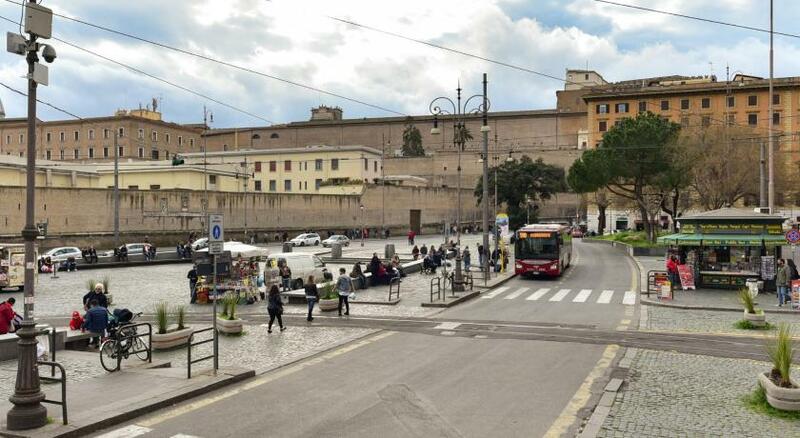 About the location of the object - it is very good - close to the Vatican and two metro stations. At night it is quiet and you can rest well. THE BEST SERVICE I HAVE EVER HAD - Alessio is a very responsible, caring, kind and discreet owner. He is happy to help and advises his guests. He cares about the home atmosphere. 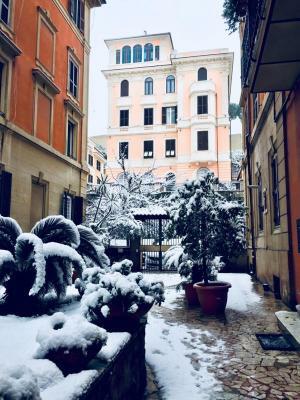 I will not describe here all the advantages of the hotel and its owner, but I recommend choosing this hotel if you are in Rome. P.S. Greetings to Alessio. Alessio is top! Good service, excellent support and surprised us with fruit in the room and something sweet in the evening. We will sure comeback.